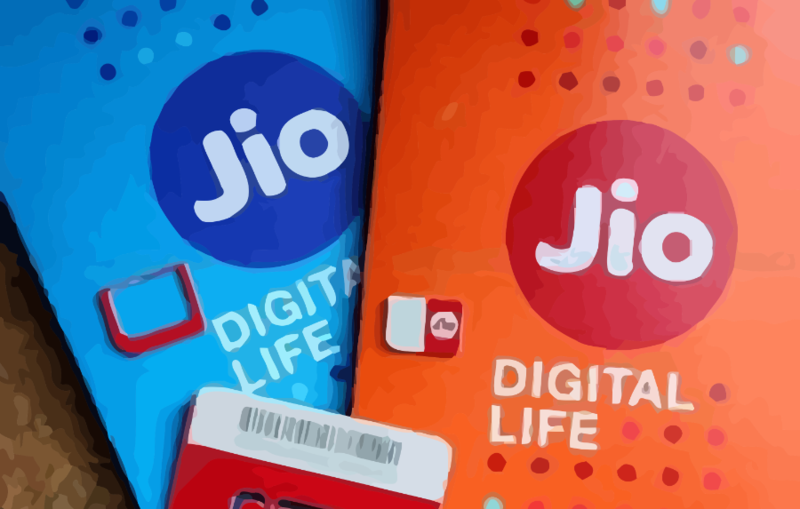 Reliance Jio has announced a summer surprise to 190 million of its users all across the nation by launching Jio double dhamaka offer. This contain additional 1.5Gb of 4G data on all the existing plans* under 499 without any extra charge. Giving that extra stretch of streaming and chilling on Netflix to cheat on a hot summer day. Airtel and Vodafone, the two major challengers had revised most plans to rebuttal Jio on the game of “cheaper data”. With this announcement jio has nudged them away from the price battle, at least for this summer. It isn’t just 1.5Gb of extra data but the double dhamaka offer also includes attractive cashback offers by Jio in collaboration with mobile wallet Phonepe. This includes 100Rs of cashback on any recharge of more than 300 Rupees and 20% cashback on plans under 300 rupees. Jio Double Dhamaka offer is valid till 30th june after that all the prices and amount of data will be restored to the previous prices. However validity of every data pack remains the same. * Double dhamaka offer is not valid for booster plans. Comparison On New And Updated Double Dhamaka Plans. 149 1.5Gb/day, 28 days. 3Gb/day, 28 days. 198 2Gb/day, 28 days. 3.5 Gb/day, 28 days. 349 1.5Gb/day, 70 days. 3Gb/day, 70 days. 398 2Gb/day, 70 days. 3.5Gb/day, 70 days. According to a report published by Business today, mobile data tariffs prices has reduced by a huge 93 percent in the last four years since Jio became as a contender in Indian telecom sector. How To Activate Jio Double Dhamaka Offer ? Activating 1.5gb extra per day requires manual activation and those users who are unaware might end up wasting the perks of this offer. Step 1: Recharge your Jio sim with any preferred packages. Do note that there is no obligations of recharging only via MyJio App to avail this offer, many tech blogs unawarely mentioned this false information. Step 2: After making a recharge, the older benefits will be added alongside with voucher of 1.5Gb data per day. There will be no notification to use that so user has to open “my voucher”. Step 3: Click on activate pack, then select activate to own number or different jio number according to your preference. select activate and you will be greeted with a successful activation message. Activating cashback offer requires phonepe app installed on your phone. Step 1: Open MyJio app and select “Recharge”, check you’re preferred plan and tap on recharge. Step 2: Select PhonePe as payment mode and proceed, after the recharge procedure is done, the “non-transferable” amount will be added to wallet. Questions or discussion use the comment box down below. Do share this on Facebook, Twitter and WhatsApp.